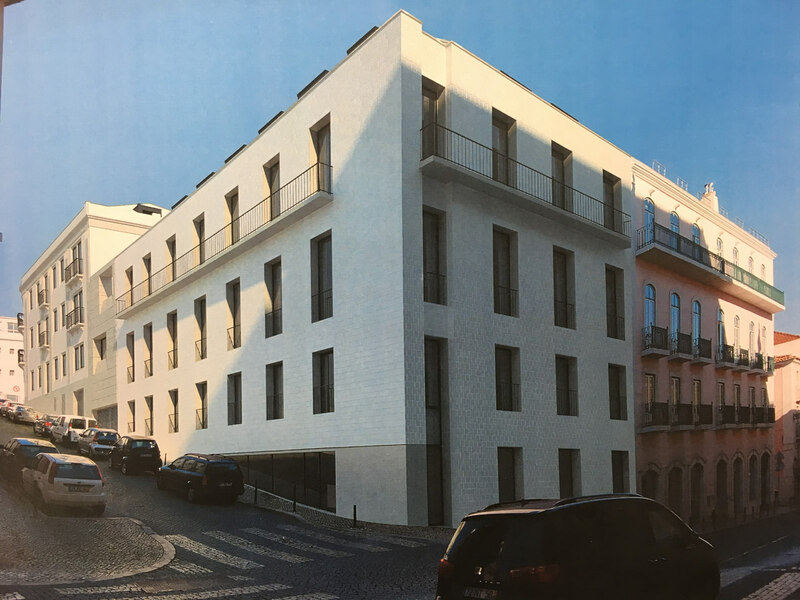 Lisbon’s historic centre will get its very first luxurious hotel from the Hilton’s Group Curia Collection. The hotel, which is located in the Santos area, has been under renovation and refurbishment since 2017, and it shall open to the public next year. It will be called “The Emerald House”, and it will be located in the Street “Rua das Janelas Verdes”, which is coincidentally the street where Madonna lives since the beginning of the year with four of her children. This street is known for the beautiful Ancient Art Museum and its Gardens, for being surrounded by many embassies and it is also within walking distance of the Portuguese Parliament. With a total area of 2,156 square meters, the hotel will offer 67 rooms, a fitness centre, a restaurant and a bar, which will be open to guests and to any other visitors and locals, according to Reuters. The renovation of the building is a multi-million project, the company told the British news agency, Reuters, without revealing the final value spent. The departments of Architecture and Interior Design of Saraiva + Associates were responsible for part of the project, and according to the group, the real estate development includes the recovery of the existing building, the renovation of the interior, and the construction of a new building. Hilton group has also signed a franchising agreement with Golden Flamingo Ida for this space. Curio Collection already launched over 60 independent luxury hotels all over the world, which they include in Hilton’s hotel portfolio. Each of these spaces is unique, rather than the traditionally standardised Hilton property line. This will be the fourth hotel that Hilton group opens in Portugal, and the second in Lisbon, after it opened DoubleTree in Picoas. The other two are located in the Algarve, one in Almancil, the other one in Vilamoura. The prime minister of Portugal expects the country to increase the intensity of tourism, to reach the average of the EU, in which the sector's revenue represents 10% of GDP.